Today is a national holiday. Not just any national holiday; today is the day all twenty year olds share a birthday. It's the National Coming of Age Day. Throughout towns and cities across the country the bright young things will be dressing in their finest and joining ceremonies to celebrate their majority. 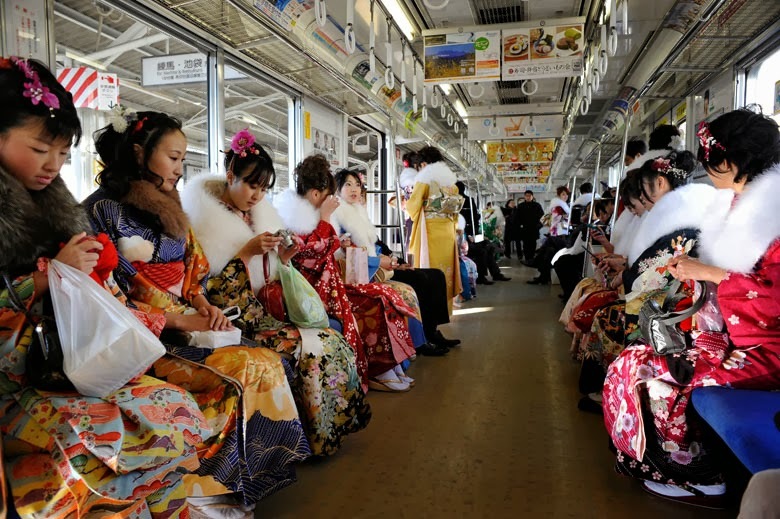 The girls will dress in beautiful kimono and the boys, well they will do their best but it's the girls who make the day. If you're in Japan today, don't stay at home. Take a camera and walk into town. It only happens once a year and must rank up there as one of the best days. Enjoy it with them, they've been waiting twenty years.